Following a day in which only 6 out of 500 S&P 500 stocks rose, a snap back of some sort was in order. As I type at 9:00PM central, S&P futures are up 38 points and Nasdaq futures are up 71. The Dow is +300 or so. The Nasdaq index has been particularly wild. 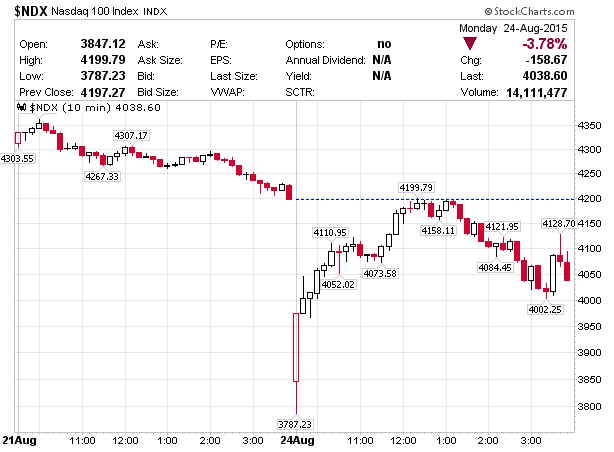 In the first 10 minutes on Monday, the Nasdaq 100 index fell 410.04 points, 9.77%. By early afternoon, the Nasdaq was amazing in the green, but closed down 158.67 points, -3.78%. Meanwhile, in China, the slide extends another day, at least for now. 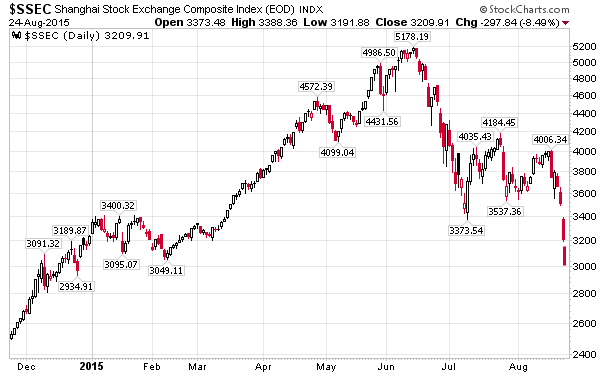 The Shanghai index is down another 6% to 3009. I added a red bar in the following chart this evening to show the decline. If US futures continue to rise, I suspect the other global equities will halt their slide, for now. 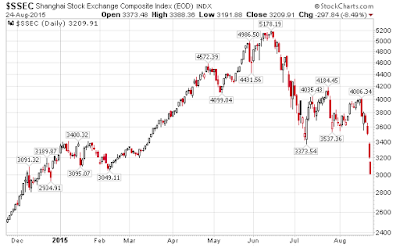 I do not see any lasting value in US or Chinese stocks at these prices, even following these corrections.